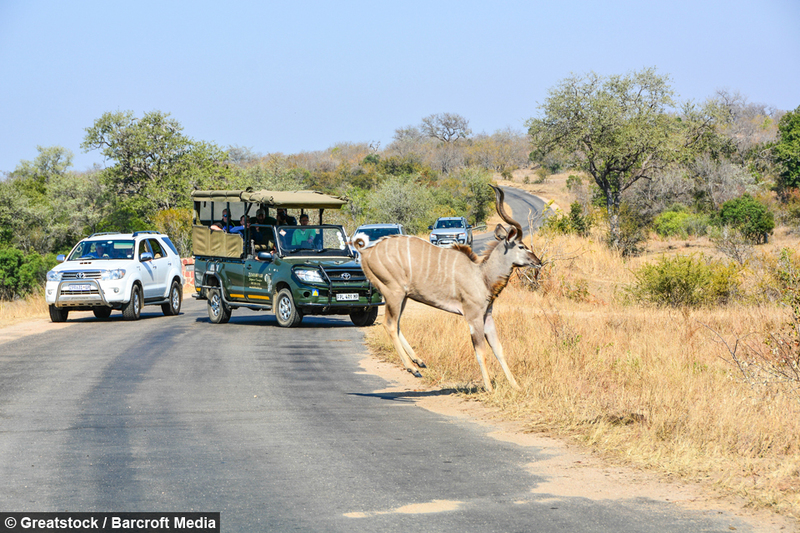 It's the kind of picture every wildlife photographer dreams of capturing. The kudu, a kind of antelope, jumps over two meters in the air on a road in Kruger National Park, South Africa. The extraordinary photograph was captured by 29-year-old Field Guide, Arno Pietersen. 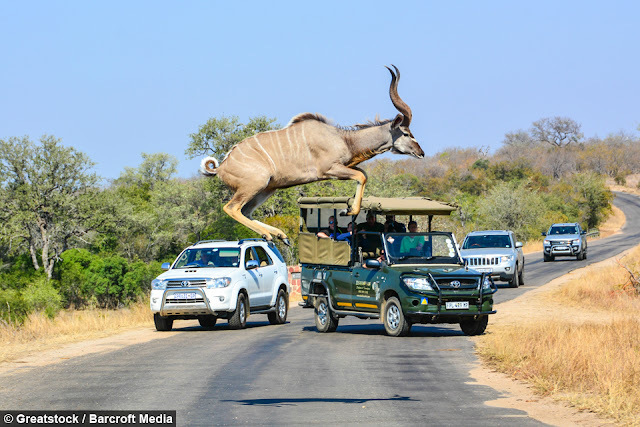 The animals can leap huge distances, even from standing still. And Arno admits he was overjoyed to capture the image. 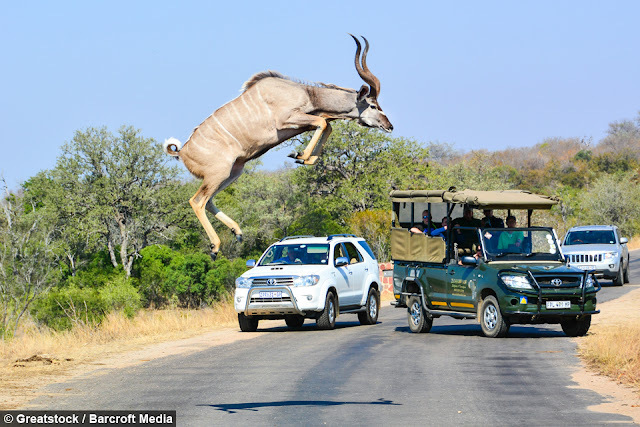 He said: "I think it jumped at least two and a half meters in the air. "They can easily clear three meter fences without having to run, even from a standing position too. "I was ecstatic, hopping up and down in my seat, when I realised all shots were in focus." 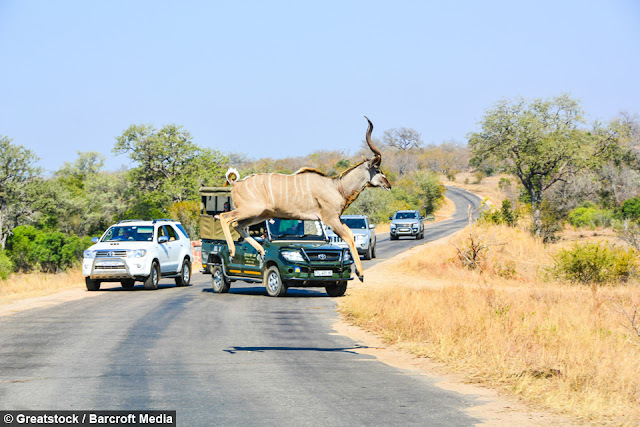 Responses to "Incredible moment antelope takes a leap of faith across a busy road "